Cleansing your face morning and night is arguably the most important step of your beauty routine. And if you suffer from acne-prone skin then finding the right cleanser – one that removes every last impurity and gets rid of that dreaded, oily sheen without drying out your skin – is tough. Lucky for you, we’ve put together eight of the best cleansers, as voted by you, our beloved (and well versed) members. Using oil to cleanse oily, acne-prone skin is A-OK! It will counteract any excess oil production for shine-free skin. 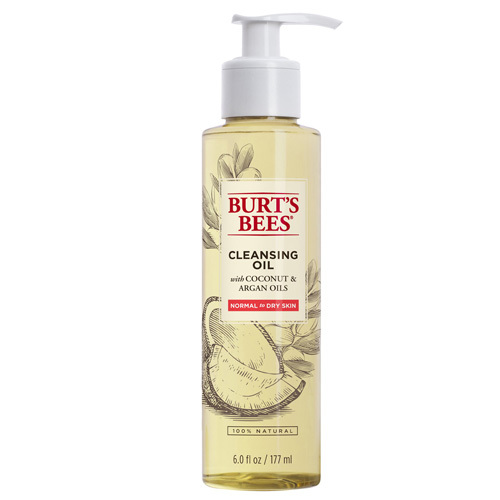 Burt’s Bees 100% Natural Facial Cleansing Oil has a 100 per cent natural formula that is non-comedogenic, so it definitely won’t clog your pores. 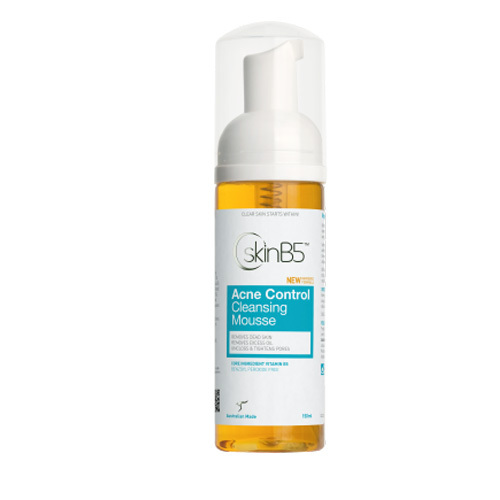 This cleanser effectively removes excess oil and problem-causing bacteria. It contains a heap of goodies – including green tea, vitamin B5 and aloe vera – to simultaneously cleanse and care for your acne-prone skin. Full of acne-fighting ingredients, such as tea tree, eucalyptus, thyme and salicylic acid, this cleanser will effectively clear acne-prone skin. With a 5-star rating, you can trust it does its job. Do you suffer from acne-prone skin? Which cleanser would you like to give a go? I would love to try the lush one. My sister got me some lush products recently and I love them. Fortunately, I don't breakout anymore but I do suffer from congestion on my nose area so a deep cleansing cleanser 1-2 times a week is ideal for me. A special cleanser by Aspect is a Godsend for my skin at cleansing time as it leaves my skin hydrated and gently cleansed. I have also liked using the cleanser fluffy discs I bought through the beautorium last time. 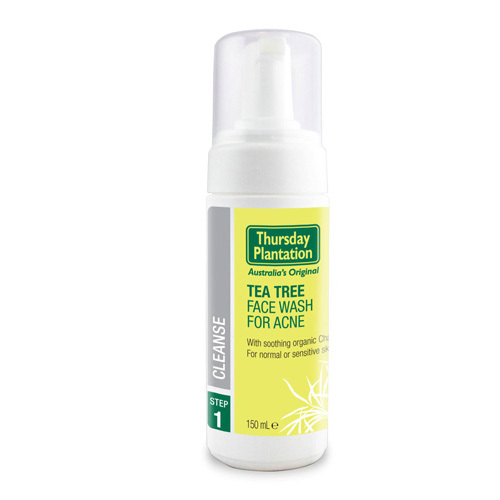 I use the Thursday Plantation deodorant nearly every day, would be curious to try the face wash! I need to try some of these, 28 and still breaking out! I like a similiar one to the neutrogina one listed! It's got a mask included. Pure tea tree oil is good applied directly to the area only ! Love the smell . I'm a diehard dermalogica fan but would love to start trying alpha h products! Would love to try the burts bee oil. Out of all these, the Burt's Bees is the most appealing to me! I didnt know Burt’s Bees 100% Natural Facial Cleansing Oil was good for acne, i used it to remove make up..
Cleansing oils are great for a lot of skin types particularly oily skin! I really worry about using any products that aren't ph balanced or have too many harsh ingredients! I have oily/acne prone skin and need to make sure that I don't damage it when I wash it. I've had acne for over 20 years, and foaming cleansers are a big no-no, anything with SLS I avoid like the plague. It's all about the appropriate oil/balm/cream/clay cleanser. Pixi and Dermalogica make great clay cleansers that are reasonably gentle, but effective. Both the Alpha-H and the Dermalogica cleansers look really good for acne prone skin. The Lush one looks different, I'll have to give it a try. Lush Herbalism has been a good one for my acne prone skin. Plus I love the herbal scent and it exfoliates at the same time. Although it can be quite messy to use. Used to have pretty bad acne but my skin has calmed down a lot now and only get the occasional pimple. I prefer gentle cleansers for my skin like the Sukin sensitive gel cleanser.  I've tried the Neutrogena one but found it too harsh for my skin. This is what I love about Neutrogena - they make it possible for me to build a skincare routine within the same brand that tackles both my acne and my ageing skin. Absolutely recommend! I had terrible acne as a teen thankfully I don't suffer from it anymore. Good to see a wider range of products available for acne suffererers now days compared to when I was younger there wasn't much available. My skin gets the odd breakout. 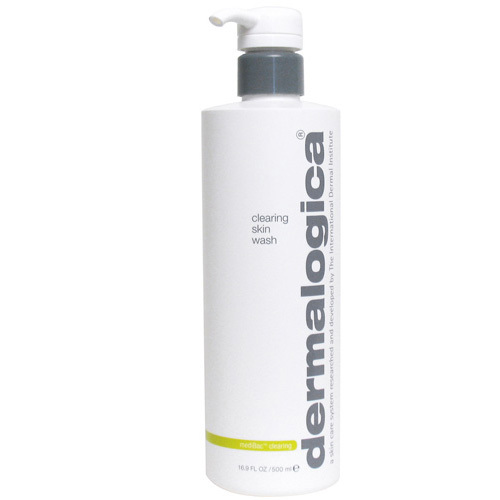 I love the review of the Dermalogica cleanser - it makes me consider purchasing! And the packaging of the Alpha H product is gorgeous. I don't get acne anymore but I do like to deep clean my nose as it can get clogged. Its like multi cleansing, a creamy cleanser for the face, a deep foam cleansing one for the nose. I would love to try skinB5 and Dermalogica cleanser. Yes! If you have oily skin, don't be afraid of oil cleansers! They in fact can help clear away sebum. 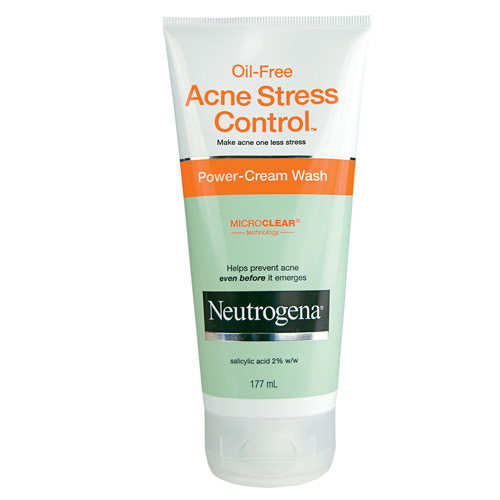 The Neutrogena Acne Wash is also very cooling and refreshing. It's not your average wash (i.e. it doesn't foam) but it leaves you feeling tingling. It's different and rather nice. Haven't used these products yet. I'm currently using Philosophy's Purity face cleanser. I needed a facial wash that wasnt' going to make my skin dry and strip awayanything. I don't have an acne problem and thankfully never did but it's great that there are so many good products now available. I'd love to see what the Lush Herbalism one is like!! With skin that is pimple prone and has been acne prone in the past, these articles are always good to read and refresh myself with. I am currently at the end of my SkinB5 cleanser which I love. 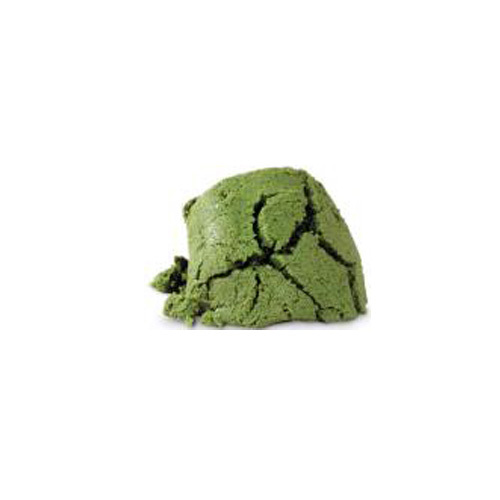 I like the idea of LUSH's Herbalism cleanser. Thankfully I don't get acne anymore...but I have paid my dues. 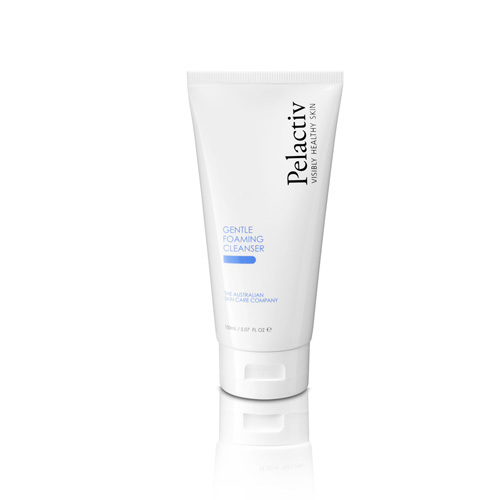 Recently discovered pelactiv and it is gentle on my skin and it does not cause any irritation while keeping pimples away. I was just recently given the Burt's Bees Cleansing Oil! Can't wait to try it out! Heard good things about the Burt's Bees cleansing oil. I do and there are always so many new products on the market to try, I can't keep up! Thankfully I don't get acne, but I like using a cleansing oil or balm to remove my makeup.